This month hundreds of young men, having discerned a vocation to the priesthood, are commencing this journey by entering the seminary. Several hundred graduate theology students are also returning to seminary as they move ever closer to ordination, God willing. As it has been over seven years since Pope Benedict XVI issued Summorum Pontificum, it is both timely and appropriate to see how much support seminaries are demonstrating for the Latin Mass through the liturgical formation of these young men. During the course of researching this I interviewed nearly a dozen priests and seminarians. Specifically I wanted to know whether or not seminaries in the United States are currently training the men in their charge to offer both forms of the Roman Rite. I soon discovered that seminaries simply respond to the priorities and agendas of the dioceses from which they receive the majority of their seminarians, and therein lies the problem. Confidentially I was told of direct conversations with bishops who believe that, while the Extraordinary Form is now technically available worldwide and that every priest can learn to celebrate it, the pastoral need for it is minimal, pertaining to a relatively small group of faithful. These same bishops note that while this group is a rather vocal minority, it is nonetheless a minority. For their own dioceses, many bishops simply request seminaries to provide a general liturgical formation which they believe will have the greatest impact on the largest number of parishes. In these dioceses, that liturgical seismic event known as Summorum Pontficum never happened. In the near future we should not expect the majority of dioceses to request, let alone mandate, that their seminarians receive instruction in offering the traditional mass. A seminary instructor shared his belief that most seminaries in the United States, and most likely worldwide, provide little if any training in the Extraordinary Form. Often rectors are simply afraid of antagonizing diocesan bishops. Ultimately, like so much else in the Church today, the issue is largely a generational one. Those bishops and archbishops whose own formation and ordination came in the immediate aftermath of the Second Vatican Council (1962-1965) and the promulgation of the Novus Ordo Missae (1969) are often the ones most militant in their opposition to the old mass. It was also explained to me that while some seminaries do provide training for offering the Extraordinary Form, they will not do so without first receiving written permission from the seminarian’s bishop. 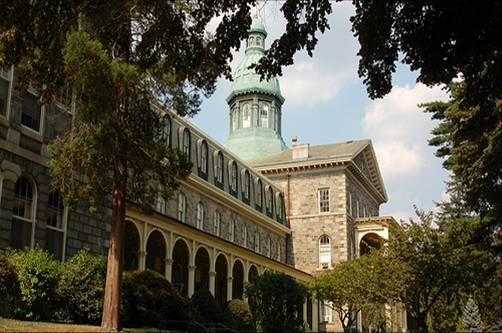 This has been the case, for example, at Mount St. Mary’s in Maryland, which does offer instruction to third and fourth year theologians, but only with the permission of their bishop. Of course, with some aging prelates, permission is never granted. Widespread support for the Latin Mass in seminaries, one priest told me, is frankly going to require more courageous bishops requesting it and, sadly, more of the “old guard” going on to their reward. While the majority of dioceses still see little value in their seminarians learning both forms of the Roman Rite, there are noticeable exceptions. Dioceses as diverse as Lincoln (Nebraska), Arlington (Virginia), Madison (Wisconsin) and Charlotte (North Carolina) either require, or strongly support, their seminarians learning the traditional mass. Bp. Morlino told the men – 32 in number! – that it was his expectation that all of them learn how to say Mass in the Extraordinary Form before they are ordained…Morlino did not say that they would be required to use it all the time, but that they must know how to use it. If seminaries are not offering the opportunity to learn the older form (which they ought to be, by the way), they could go to workshops or find priests who could help them to learn it. Bottom line: they are to learn the Extraordinary Form. In addition to these dioceses, both Wichita and Peoria have also permitted their seminarians to learn the traditional mass. Most of these dioceses are also recognized, on a per capita basis, as being leaders in producing vocations to the priesthood. This, I would argue, is no coincidence. In the end, hope does spring eternal. A priest friend who was ordained during Benedict’s papacy confided that all seminarians these days, even those who do not necessarily show a specific interest in the Traditional Latin Mass, seek solemnity and reverence in the mass. There is a great deal of interest in sacred music and in other ways by which a sense of the transcendent and beautiful can be restored to the liturgy. Recognizing the benefit and necessity for our diocesan priests to be able to offer the Holy Sacrifice of the Mass in both forms, may more bishops support a complete liturgical formation for this current generation of seminarians. Posted on August 23, 2014, in liturgy and tagged bishop morlino, diocese of madison, extraordinary form, fr. z, latin mass, mount st. marys, seminarians, traditional priests. Bookmark the permalink. 8 Comments. I cannot agree with you more. It was like that more here in St Louis when Cardinal Burke was here. His predecessor has not welcomed the TLM nearly as warmly but at least seems to tolerate it. I was told by a newly ordained priest for our Diocese(Lincoln,NE) that it is an elective course at St. Mary’s. So they can choose it, but sadly, it’s not part of the regular training. I wish it was just standard course. I am thankful our present and past Bishops have allowed it here in the diocese but they do rely heavily on the FSSP to offer it. All in His good time, I suppose! From all I have heard Jennifer, you are in a wonderfully diocese and indeed, what a blessing to have the FSSP with such a high profile. God bless! I genuinely appreciate the general sentiments expressed on this site regarding a recovery of reverence and beauty in the celebration of Mass. That said, I beg you to tighten your use of terms when referring to the various forms by which Mass may be celebrated. Using the term “Latin Mass” to refer to Mass celebrated according to the extraordinary form of the Roman Rite is gravely misleading since the ordinary form of the Roman Rite is 100% “Latin”! In fact the most common way by far to celebrate Mass in the Latin Church is the ordinary form of the Roman Rite. Using the term “Traditional Latin Mass” is hardly any better since there are manifold Rites in the Latin Church, each with its own liturgical tradition by which Mass may be said. Dominican Rite, Ambrosian Rite, Carthusian Rite are just a few. So Mass said according to one of these Rites could justly be called a traditional Latin Mass. When used by those suspicious of tradition, the term “Latin Mass” communicates foreignness. They should be taught that Mass celebrated according to the ordinary form of the Roman Rite is a Latin Church expression of the Mass, regardless of the language predominately employed in the saying of it. I think your blog posts can do much good by helping folks to think and speak clearly about liturgical rites, forms, uses and traditions. In all honesty, I sometimes resort to the term “Latin Mass” simply because that is the name many are most familiar with (when referencing the Extraordinary Form). Same thing with Traditional Latin Mass. I’m actually not a huge fan of the relatively newly introduced “Extraordinary Form” to describe the traditional Mass. Even the “Tridentine” Mass is problematic, as many use it to imply that the Missal of Pius V somehow invented the TLM, whereas it actually simply codified the Latin Rite liturgy already centuries old. My personal preference? The “Gregorian” Mass, which emphasizes that the Latin Rite, as we largely know it in the 1962 Missal, can be traced back to the sacramentary of Pope St. Gregory the Great. Great comment by the way. Thank you for reading my blog! Just a quick reply….I understand the misgivings which those attached to more traditional forms of worship have towards the use of the term “extraordinary” when referring to the usus antiquitor of the Roman Rite. In its defense I would point out that Pope Benedict himself employed the word in his motu propio liberalizing use of the Missal of 1962. Additionally, it must be acknowledged that the Missal of Bl Paul VI is more commonly used than the Missal of 1962 and, barring some shocking event, will be for an indefinite period of time. One may also speak about Mass celebrated “according to the Missal of 1962”.